Senegal is very bravely entered into match even though he had two goals behind from the first game. However, despite several good opportunities in the first half ended without goals, to make a real delirium came them in the finish of the match. It is awarded a penalty them in the 77th minute for Senegal, and in the lead has turned Moussa Sow for a 1-0 advantage. Senegal started strongly towards the goal Ivory Coast. They created chances in front of goal guests, but that the attacks cost them in the injury time, when the "Elephants" over Solomon Kaloua from a counterattack coming to tie 1-1 and qualifying for the World Cup. 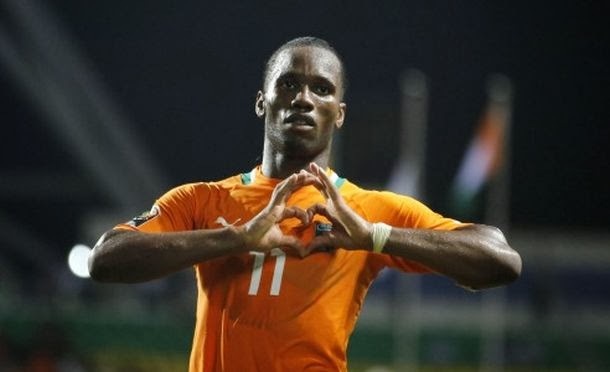 Thus the legendary Didier Drogba led his team once again at the World Championship.